« Be Full Of Your Brain Cell All The Time And All! Vivienne and Toby, nurse and doctor in a military hospital in British North Borneo, were both victims of broken romance and unwilling to become involved again. But they seemed fated to find their names linked — even though Avril Wade did her best to come between them. I know, I know. You’re probably sick and tired of romance novels set in British North Borneo. It seems like another one comes out every week. But this one appears to be different. First, take a look at the guy sitting under the palm tree. He’s obviously proud of the fact that, in spite of the oppressive tropical heat, he doesn’t have sweaty armpits. Second, notice his Bermuda shorts, white socks and dark dress shoes. You know what that means, don’t you? That’s right. 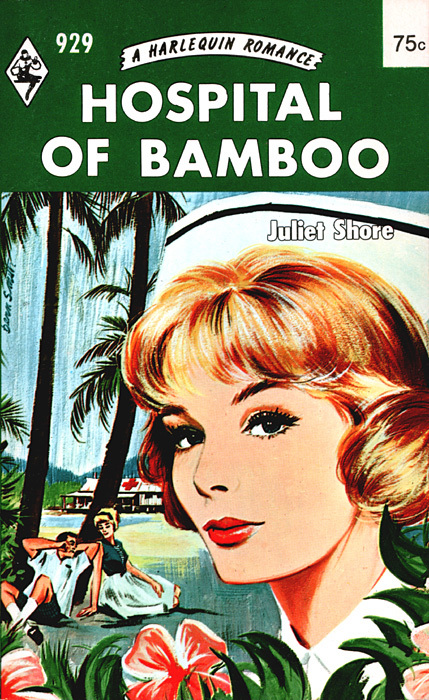 While this may look like just another British North Bornean romance between a nurse and a doctor, it’s really a story of passion and intrigue involving a young, idealistic nurse and a German tourist with anhidrosis who is masquerading as a physician.